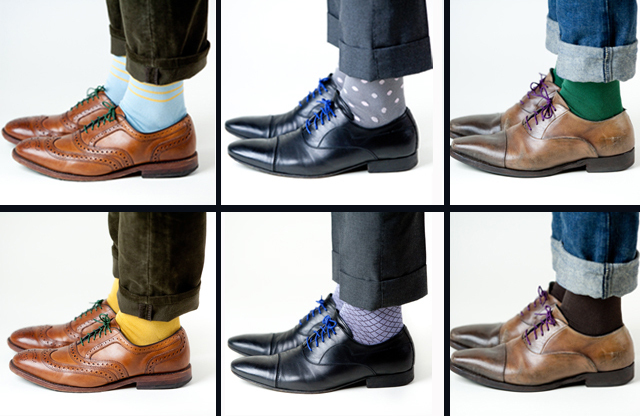 The rule-of-thumb for years has been to match your socks to the color of your slacks, well that rule was meant to be broken. 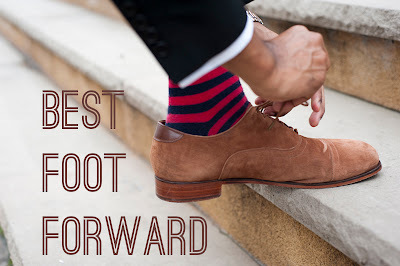 There are so many ways to pump-up your outfit and one of those options is to do it with an awesome pair of socks. Another rule-of-thumb: match your socks to your tie color or socks to your shirt color (Like Mr. Beckham is doing). This is a great way to ease into wearing colored socks. After you have matched your ties or shirts with your socks, start branching out and having fun with it! There really aren't any rules to this so use your own creativity. Here are some guys showcasing their socks to give you some ideas of the endless possibilities. Come in and check out our HUGE selection of socks and let us know if you have any questions!